These scrappy feathers are pieced using conventional patchwork piecing techniques. No paper piecing! 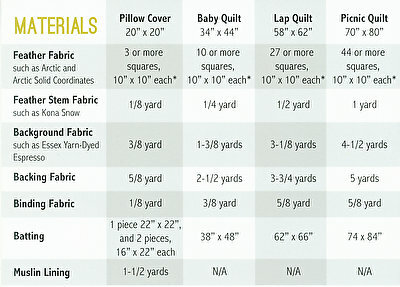 Use precut 10″ X 10″ squares, and feature your favorite fabrics with optional fussy cutting.